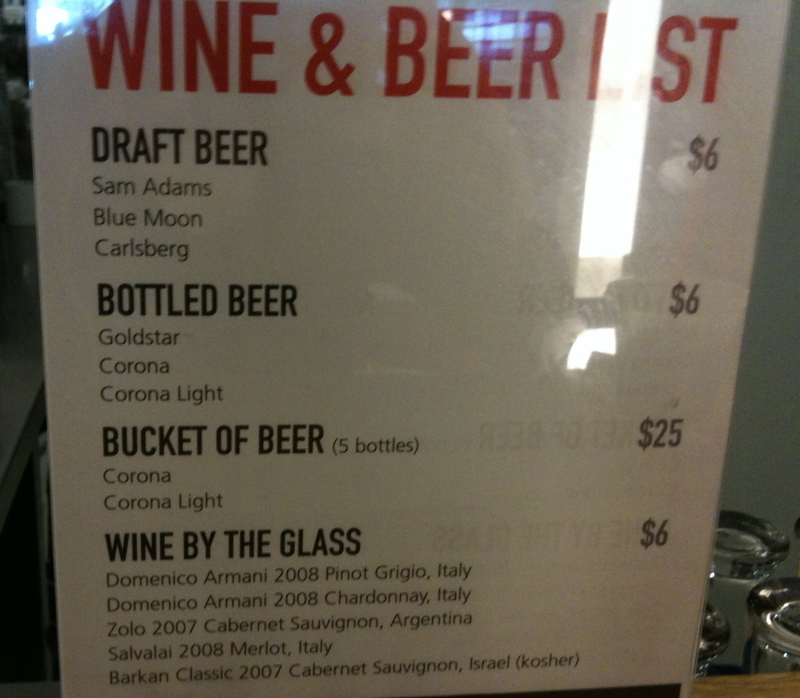 The photos above detail the wine and beer offerings at aroma. 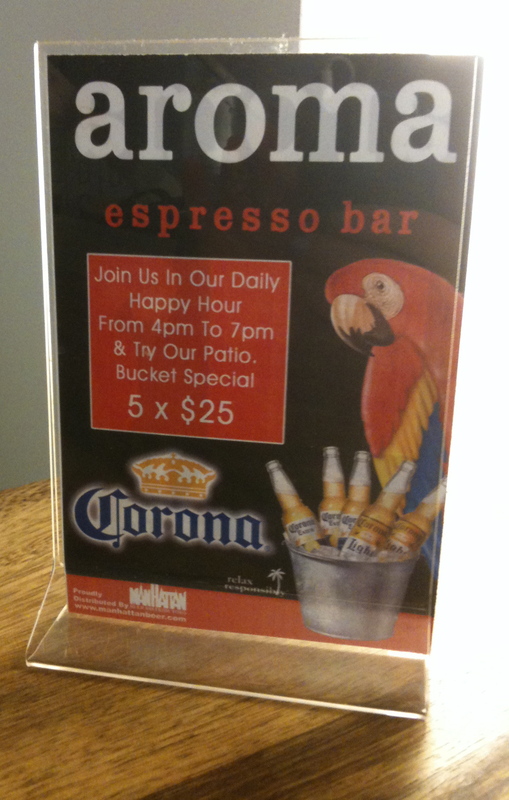 Happy Hour is 4-7pm when you can enjoy a bucket of 5 beers for $25. On a timely note, I was there again today and the World Cup was on both the flat screen TVs. aroma is committed to showing the World Cup — a hidden place to watch. Enjoy! Where is aroma located exactly? Can you provide a link to their website (if they have one)?